The side streets of Mexican towns are full of these little markets. 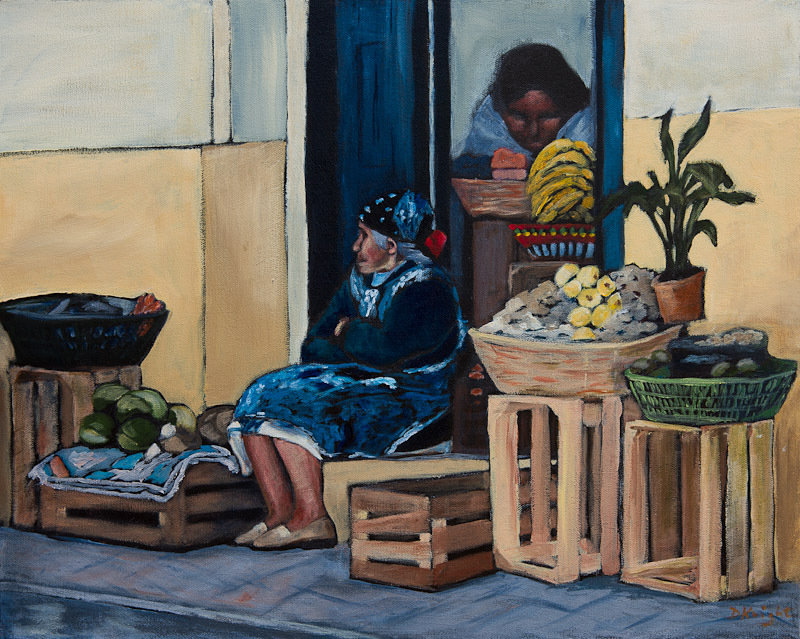 The elderly woman sitting on the step between customers adds a lovely charm to this one. She looks like she would be an interesting person to converse with. I used the same black (with some red) under painting as the last one. Love these Mexican mercados!